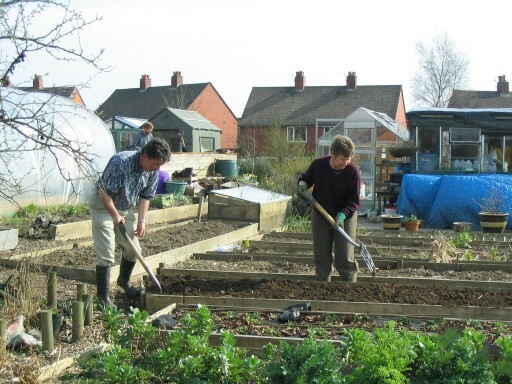 We will be holding a Big Dig Day on Saturday March 16th, when we welcome new volunteers who want to try allotment gardening. There will be a morning session from 10.30 am until 12.30 pm and an afternoon session from 2 pm until 4.30 pm. Help us get ready for the growing season by digging over the potato beds, sowing seeds, planting onions, and other tasks. 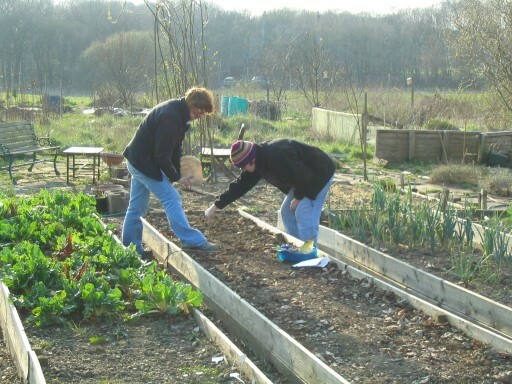 Find out if you like working on a community allotment, chat with our regular volunteers, look round our plot to see what we’ve already done, and eat home-made cake and biscuits. All welcome, but children must be accompanied by a responsible adult. Please wear old clothes and stout shoes or wellies. There is plenty of parking space on Lever Park Avenue near the gate. Lovely website. Must come and see you sometime. We now have a polytunnel and a greenhouse. Charlie. Thanks Charlie. Polytunnels are great: if we could cover the whole plot we’d probably double what we can grow.